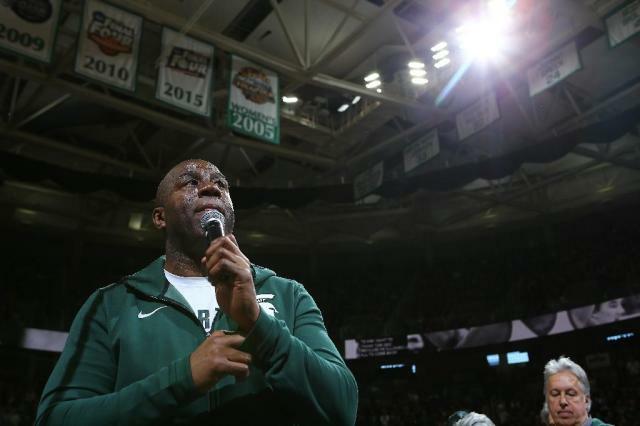 Los Angeles (AFP) - Magic Johnson, president of basketball operations for the Los Angeles Lakers, said Sunday the New Orleans Pelicans never bargained with them in good faith regarding NBA star Anthony Davis. The Lakers engaged in talks with the Pelicans regarding a deal for Davis but could not strike a deal before Thursday's trade deadline. Asked if he thought the Pelicans negotiated in good faith, Johnson said, "No." "We knew that basically at the end of the day what happened happened. And we knew that when we first started. In terms of what happened, hey, it is what it is." "Quit making this about thinking these guys are babies, because that's what you're treating them like," said Johnson. "They're professionals. All of them. This is how this league works. They know it, I know it. That's how it goes. So we've got to move forward and we are moving forward." "They get paid to do a job," Johnson said. "We're all professionals. I've been in this league 40 years. A lot of players got traded on Thursday. Guess what's gonna happen next year? A lot of players will get traded. A lot of players will stay home. "I talked to our guys, they're in a good place."